I had good intentions of following the recipe. It just doesn’t often work out like that. Two minutes in, actually lets be realistic. Thirty seconds in and I already had done something completely different to what Dan Lepard’s recipe said. Don’t you read the recipe? Mr Chocolate helpfully said. Um no… I guess I don’t. Right. It was pointless in continuing with Dan’s method. Heating the beer up surely couldn’t be a crucial part in the breads success could it? I softly closed the book and resumed hackbaking 101. One day, one day, I might be able to follow a recipe. Popping my thinking cap on, I wrote down my own recipe. I quite often write down what I’m going to do before I do it. I look at my ratios, see if it looks right, and then make any adjustments to the ratios as I go along. With the beer, flour and starter mixed together, I left it over night. Coming back in the morning like an enthusiastic kid waiting to open a present. Would it look like it should? Would be a deflated watery mess? Would it have escaped the bowl and be slowly making its way down the kitchen cupboards, making a clear getting away towards the door? I peeped inside and happily saw, it looked kind of like how I would expect it to look. Excellent. Now to the bread bit. Behaving well, the end of the day and it’s baking time. A shape and a slash. Bake and …. Happy mama. It looks decent. Mr Chocolate spies it and demands bread rights. I say not a chance, need to take some pictures, and then you can try it and give the crucial Mr Chocolate test. * Note, Dan Lepard asks for bottle conditioned beer with live yeast. I didn’t use that, instead just a regular type of beer. Does this mean it’s now not a barm bread, but instead a regular beer bread? Not sure, perhaps perhaps… Any enlightment from the bread gurus? Whisk together and leave overnight. Mix ingredients together and leave for half an hour or so. Add 2 1/2 tsp salt and mix again. Quick knead, and then prove for a while. Another quick fold and then shape. Prove again, slash and then bake at 240C with steam. I’ve also done an olive bread using the same dough. Just weave your favourite kind of olives through the dough on shaping, prove and then bake. Make sure those olives are really tucked in, otherwise they pop out when baking. This post submitted to yeast spotting. 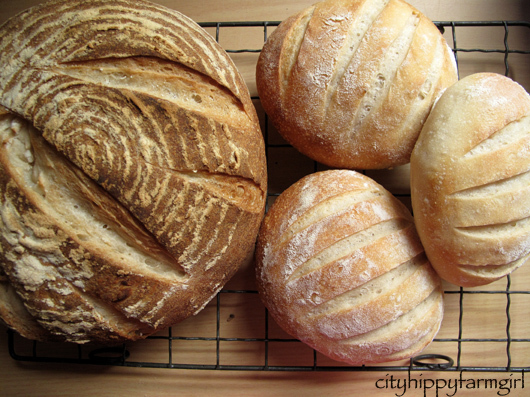 This entry was posted in Baking Bread and tagged australian beer, barm bread, beer, broo, dan lepard, homemade, natural levain, no commercial yeast, slow food, slow food australia, sourdough by cityhippyfarmgirl. Bookmark the permalink. i had to discipline myself a lot when i made dan’s barm bread on the weekend..i tend to like to follow my instincts too but with this bread i thought i’d better toe the line because i’m not experienced enough with bread baking yet to really do my own thing with such an idiosyncratic recipe..i don’t think my beer was a conditioned beer either..i looked on line to check on the criteria for conditioned beer and i deduced (rightly or wrongly) that it needs to say so on the label..anyway the bread was a success if success is measured by the crunch of the crust and the flavour and lightness of the crumb..but it wasn’t a success if looks are taken into consideration because the dough stuck to the muslin lining of the proving bowl and despite gentle persuasion to remove the dough intact it tore and i ended up with bits of dough that i stuck to the top of the loaf to avoid the wastage..
i really didn’t mean to ramble on about my bread issues..i really wanted to say your barm bread is very easy on the eye..
Ramble away Jane. Rambles are always welcome here. Will you post your version of the bread? This was one recipe I really did have grand intentions of following it to the T…ahh well. Having made it a few times my way, it definitely works though. So were you happy enough with yours to make it again? I think you’ve done an incredible job. Your bread looks sensational. I’m sure it’s all been devoured by now because who can resist warm fresh bread. I’m a bad boy and haven’t baked any bread for a while. I was thinking of taking some of my starter home to the UK over Christmas, but wasn’t quite sure how it would survive on the plane or what I’d say if customs stopped me! Did it taste beery? 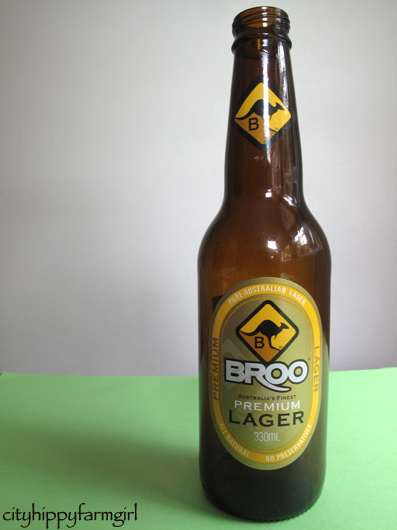 I think Coopers Pale Ale is bottle fermented and is dfinitely easy to get hold of. I really like the sponge method of sourdough, it’s becomming my favourite way to bake. Nope, didn’t taste beery at all. I’ll keep the Coopers in mind if I make the bread the proper way it was supposed to- thanks for that. LOL…I love your recipe irreverance. If only my instincts were as good as yours when I do the same. I like the writing it down approach. Do you keep the recipes when you do this? *ahem* that’s what my blog is for Alison 😉 Reminders of how on earth I made something. Otherwise I would NEVER remember. I’m sure my brain goes into shut down mode, just on opening a book Tandy. I think your bread intuition wins 🙂 I struggle to follow recipes exactly – aside from anything else it takes me so much longer! – and have much more fun when I don’t. Even the not-so-successful outcomes seem a little more enjoyable. Clearly, though, this was in the successful category…very impressive. It is more fun isn’t it to go off road, and cater things to your own taste buds… saying that there have been a few memorable dodgy ones. Stunners! I’ve not tried this bread in Short & Sweet, never tried making bread from beer, so I must rectify this soon. I feel inspired! I’d love to see what bready action you do with beer Misk! Hi Brydie! 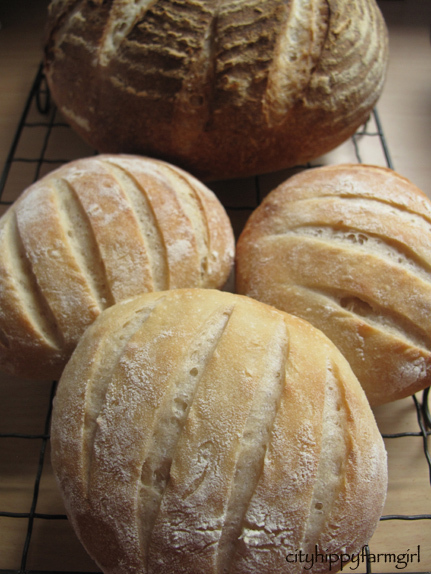 First off – beautiful loaves !! gorgeous clear slashes and all! LOL! Most of my recipes are STILL lists of ingredients- I have to translate them to put them up on my blog. 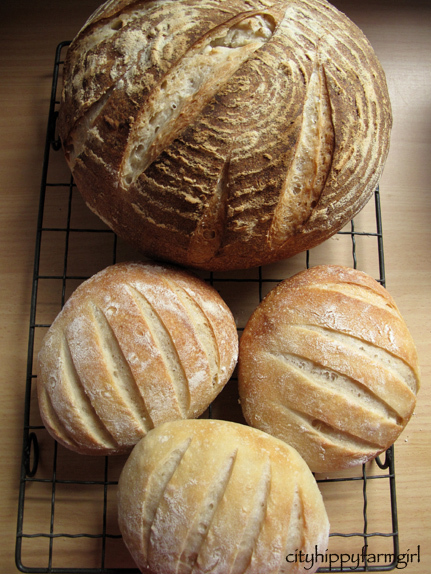 I did read through quite a few posts on The Fresh Loaf on the bread… after I had made it twice *ahem*. But yes, it is the one from The Handmade Loaf. Do you have to log in to access the old threads for the Dan forum? It’s the geeky that I love Joanna. You know my poor brain struggles with the why, and how of bread. That makes sense though about the beer. Maybe this year I should just focus on barm breads, and play with the beers a little. I plan to nail sourdough in another 10-15 years or so, until then my brain cells are on pause 🙂 That means a whole lot more hack baking. But then she was not a great bread maker. If we got a loaf of white bread a year, we were lucky! I think your methods are well used and comfortable to you- and your bread is beautiful! Thanks Heidi. Comfortable yes. If it doesn’t fit in, bread would surely not be made- and I can’t go back to shop bread! For all I know that beer is terrible, but I love the label and I want one! The bread looks fantastic too. Greg it could taste like cats pee for all I know, I liked the label too. Oh wait, all beer tastes like cat pee! Haven’t beer and bread always gone together? Just more cozily involved here. This hits my list of “musts”! I think they just may have spree. Ah, how refreshing. …have been away from the computer for a couple of weeks and come back to more of your wonderful recipes.I always imagine your family rubbing their satisfied tummies as you cook another masterpiece for them! Love the bread recipe, will try it soon. Sometimes those masterpieces are flung to the side, eye brows raised, lips clamped shut and pouted upon… thankfully it doesn’t happen that often. Wow, they look gorgeous. I’ve been meaning to bake with beer for ages now, so thank you for giving me a reminder. It’ll have to wait until I’ve eaten through some of the stuff I’ve already got though! But remembering your pictures will definitely inspire me! They did like it, and so did their Monkey cousins with the olive one. Definitely not a beery tasting one, just a pleasant sourdoughy taste. Oh these pictures of bread have me wanting! I agree Anna. Sticking just to a recipe is simply no fun! What gorgeous bread you’ve made there, recipe following or not! I’m not much of a bread baker myself, mainly due to needing a new oven, but just looking at these loaves makes me want to make some. 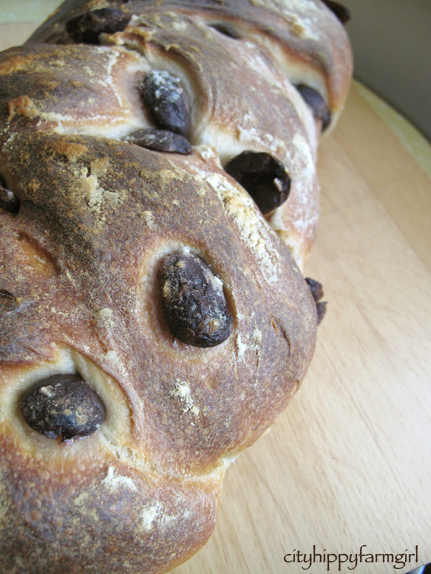 Love the olive loaf, too, one of my faves. Beauty! Kalamata olives do make a tasty loaf. Absolutely beautiful loaves of bread. I concur with Celia! Beautiful loaves! I think my problem would be with beer bread is that I’d want to keep trying different types of beer…lagers..pale ales, heavier ales..it could really be a whole other world of baking out there! Onto hackbaking 101, I seem to be in the same classroom as you this week..lots of hack-jam making, which is the best kind really, isn’t it? Just a few simple ingredients and off we go….! My starter has been sitting in the fridge …dormant for some time. I must reinvigorate it with this recipe. They look fantastic. Nice work. Your bread always looks amazing. I’ve heard of beer batter, so I expect it must do good things to bread with it’s yeast content. Hoping this will be the year I will attempt sourdough. You make it sound so easy!